Make the madness stop! How can thousands of so-called experts claim to have the one solution that will fix my golf game? It is impossible to decipher the complex idiosyncrasies of a golf swing down to one simple concept or action. Of course, in today’s society of instant gratification, that is what most players are looking for. Golf is not easy and no matter what parts of your game you are trying to fix, a quick search will provide a mountain of data that you have not time or desire to sift through. So what is the solution? ‘What Wedge When’ is an important research topic when improving your golf game. Before I give you my simple solution (OK, that was just too punny) and to prove my point, I typed ‘simple golf solutions’ into Google and only 930,000 webpages appeared in .55 of a second. The first few pages of results all claimed to have “the” simple solution to our problems. This might true, but how do we separate the wheat from the chaff? First, I do not have a ‘simple solution’ to fit all time zones. I do, however, have a process that works for fixing challenges in my game that I have developed over the years. Depending on what I am focused on fixing, my simple process could take a bit of time to find my end goal. Regardless, when I follow my process, the right solution for my game always comes out at the end. It is important to note that my methodology is designed to fix a specific area of my game, yet has many positive second order of effects. Identify a specific end goal. It is that simple and complex. Identifying a specific end goal at the beginning of the process helps narrow your research, sharpen your focus, and provide a direction for improving something specific. This first step is critical to success and improving your overall game. Chipping Tips Golf – resulted in 538,000 hits. This information was very general. After reading the several articles, I became familiar with the many fundamentals of chipping and the multitude of possibilities for improvement. As such, I decided that around the green is where I want to start. So, I conduct my next search. Chipping Tips Around the Green – resulted in 1,470,000 hits. The information started to become more specific. Additionally, YouTube videos at the top of the list helped me decide the next step. I narrowed it down to three possibilities of club selection, weight distribution, or hand position. In my case, by focusing on a fundamental skill, it will help with the others later. After reading a few articles, I decide to focus on weight distribution. Weight Distribution While Chipping Around the Green – resulted in 539,000 hits. But the top 20 were very specific to my area of focus. After reading the ‘how’ to ensure the proper technique, I am understanding that building a solid foundation before my swing will improve my consistency and accuracy. Now, I need some drills to help reinforce my new-found knowledge. Weight Distribution Drills While Chipping Around the Green – resulted in 209,000 hits. The first 20 hits offered some great drills to help develop a strong foundation of weight distribution while chipping around the green. Now it is time to practice. When I head to the practice area next time, I am prepared focus my practice in a specific area – weight distribution while chipping. Of course it will take some time to master my new-found skill, but with a goal in mind, my time is better spent during my practice session, resulting in an improved golf game. Earlier I talked about second order of effects; in this case, hand position, club selection, and swing plane will benefit from my previous research and make the next steps in improving my game easier. Being overwhelmed by golf information is a challenge for most golfers. Using the first step in my process by identifying a specific end goal will help. It lowers your frustration by providing a clear and defined end-state that will help leverage your precious time during practice sessions. I believe this is the most important step to great golf and is specific to each person. What do you think? Do you define a specific goal to improve your golf game? 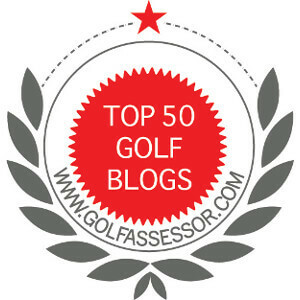 ← A Bad Round on the Course is Better Than…..
Jim, like you, I like to have specific goals but prefer to go a bit deeper and make them measurable. For example, you can try to “improve your chipping” but I’d try to focus on a number, say “get to 50% up and down” or “get 50% within 6 feet”. My goal this year is to improve my ball striking but I go deeper and identified “10+ GIR average” for the year. Without the metric, we run the risk of making it too easy for ourselves to fail and say we passed. Failing is okay. Your approach is a good one for the DIY player. I would also suggest, you could cut out a lot of noise from all the web searches by going to a pro. As always, your points are valid. This is why I suggest that there is no one simple solution and everyone should work the process out for themselves. Gotta love golf.